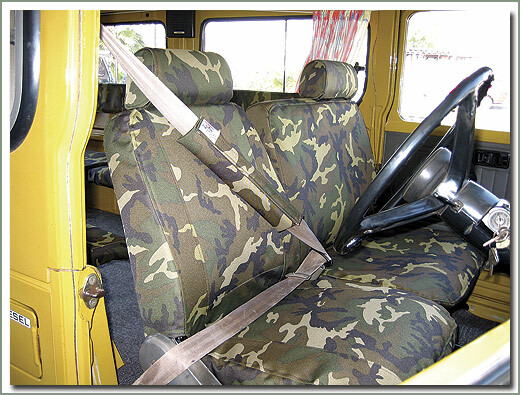 Seat belts are a must, and in most states they are mandatory. Play it safe, and buckle up...seat belts are cheap insurance for you and your passengers. 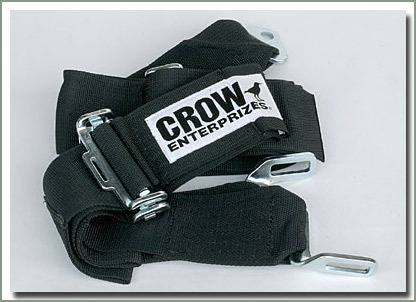 SOR offers Crow Heavy Duty Lap Belts, Crow Enterprises is well known in the racing industry for quality safety equipment. 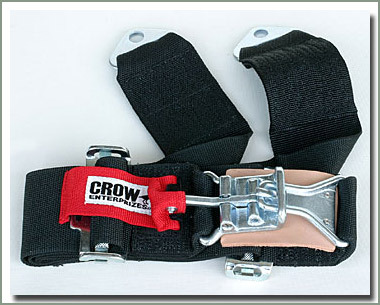 Crow Heavy Duty Lap Belts are made of long lasting Military spec black nylon webbing. 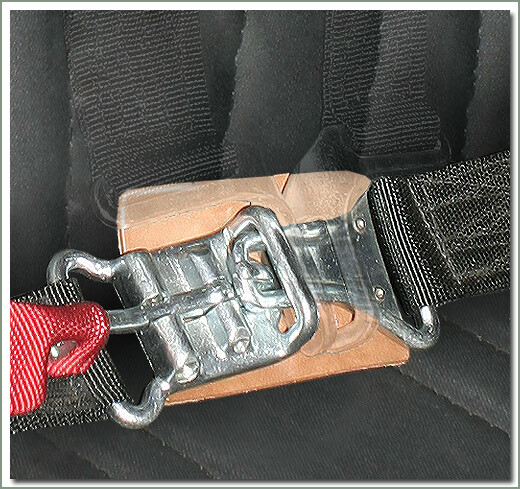 Heavy Duty Lap Belts are available in 2 or 3 inch widths with slip type roller slides for easy adjustments to fit all sizes. 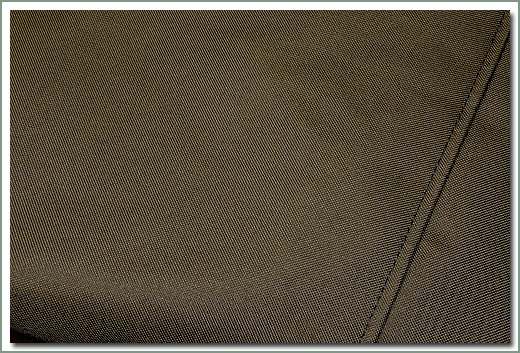 The 2 inch belts are adjustable from 22 inches to 62 inches. 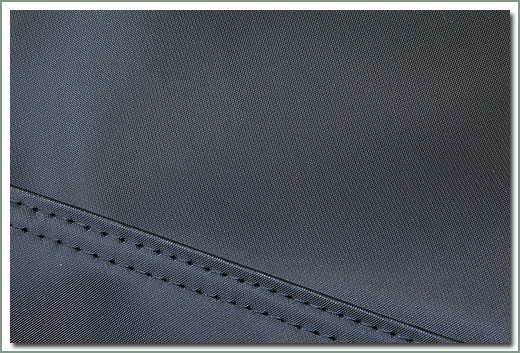 The 3 inch belts are adjustable from 22 inches to 62 inches. Forged alloy steel 'quick release' latch and link buckle system. 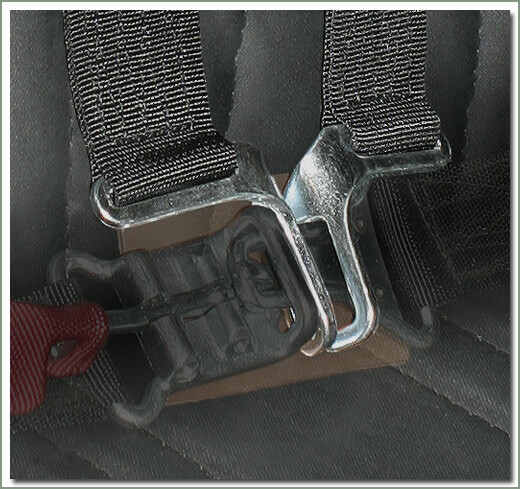 Special safety strap designed to cover the latch eliminates quick unwanted belt releases, a great safety feature for four wheeling. Easy bolt in installation. Hardware not included, see part #305-99. Available in black. Sold each. Shoulder Harnesses and Lap Belts are sold separately. 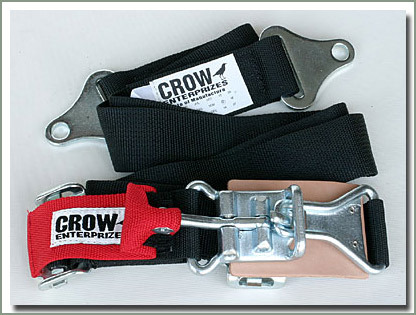 Crow Aircraft quality 'Y' style Heavy Duty Shoulder Harness designed to be used with the Crow Heavy Duty Lap Belt, a must for off roading! Easy slide loops connect the harness to the lap belt buckle. 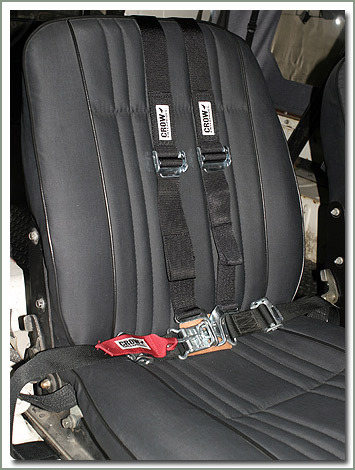 Easy bolt in harness, mounts behind the seats. Available in 2 or 3 inch widths. 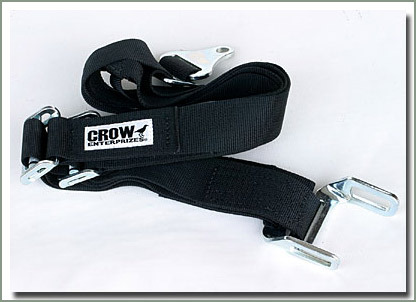 Crow Heavy Duty Shoulder Harness are designed to adjust easily to fit most applications. 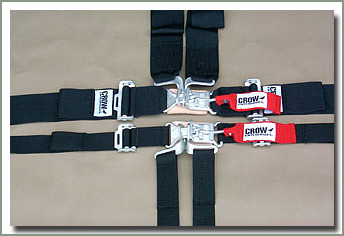 The 2 inch harness adjusts from 22 inches to 68 inches. 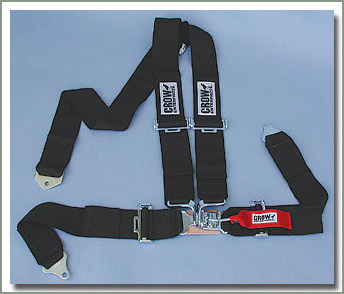 The 3 inch harness adjust from 22 inches to 62 inches. 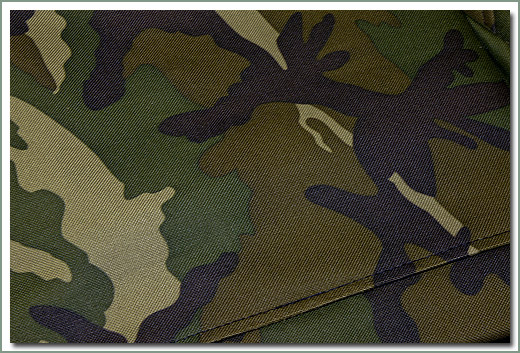 Made of long lasting Military spec black nylon webbing. Forged alloy steel links. Hardware not included. Available in black. Sold each. Shoulder Harnesses and Lap Belts are sold separately. 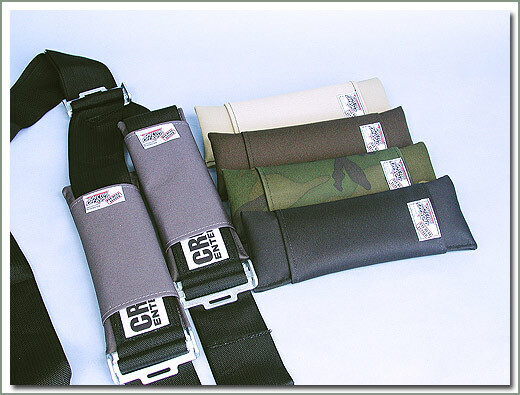 SOR Tuff Duck Strap And Harness Pads are a "must have" for those all day rock pounding events. These pads are designed to prevent your shoulder harness strap from constantly digging into your shoulder and leaving a strap imprint or burising from hours of four wheeling. 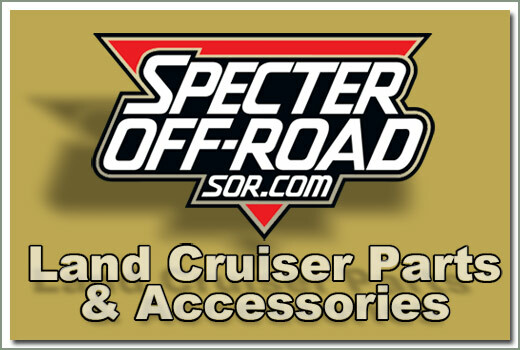 Ride in comfort, pad your shoulder harness or your factory seat belts with SOR Tuff Duck Strap And Harness Pads. 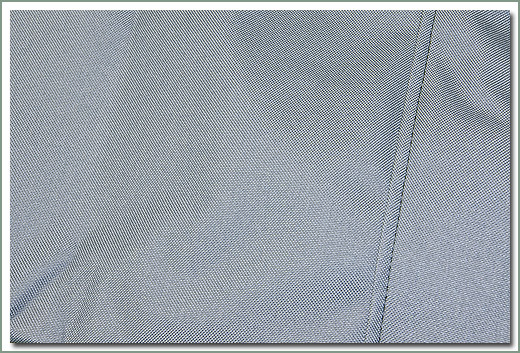 Made of durable Tuff Duck Material. Easy to install, hook and loop adjustable closures. 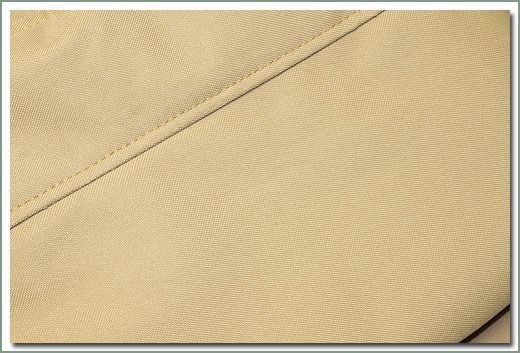 Designed to coordinate with SOR's Tuff Duck Slip Covers & SOR SummerTops®. Sold Each. 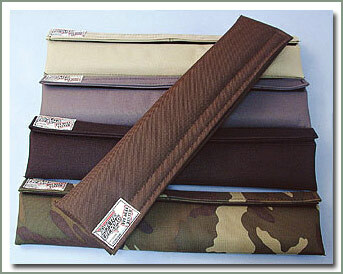 Available in Tuff Duck material in Black (BL), Brown (BN), Gray (GY), Tan (TN), or Woodland Camo (WC).